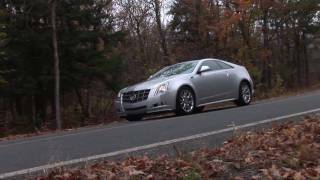 Cadillac has released official information about the 2011 Cadillac CTS Coupe, ahead of the Los Angeles Auto Show. 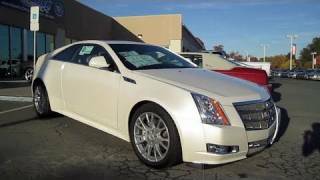 The CTS Coupe will share engine choices with the current Cadillac CTS sedan. Both vehicles use a 304 horsepower (227 kW) 3.6-liter V6 (the base 3.0-liter V6 won't be offered in the Coupe - at least initially), and are available with either rear- or all-wheel drive. Cadillac today unveiled the 2011 CTS Coupe, the latest and most dramatic of the brand’s series of new designs to reach production. 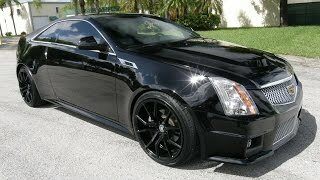 Slated to arrive in Cadillac showrooms in the spring of 2010, the CTS Coupe is a new luxury sports coupe designed to become the centerpiece of the brand’s revised lineup.